"In a period of only a couple of weeks I have gone from almost no use of my left shoulder and needing help to perform tasks to nearly 100% range of motion -there isn’t anything I can’t do!" ~Lawrie W.
Clinton Crawley, PT, DPT received his Bachelor of Rehab Science from Armstrong State University in 2012 and went on to receive his Doctorate of Physical Therapy in 2015 from ASU as well. On June 20, 2018, Clinton passed the National Board Examination to become an Orthopedic Certified Specialist (OCS). During clinical rotations, Clinton worked in Hawaii rehabbing professional football and baseball players, specializing in the overhead athlete. Clinton values the importance of holistic treatment and is Graston Certified, facilitating soft tissue and muscle healing and regeneration. 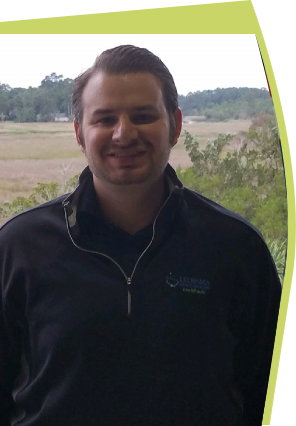 Clinton joined Ledesma Sports Medicine in December, 2015 specializing in orthopedics. In addition to providing first-rate patient care, he also regularly conducts running and VO2 evaluations to ensure athletes achieve optimal performance levels. Originally from Central Georgia, Clinton has decided to make Savannah his home with his fiancé, Donna and dog, Lilly. In his spare time, he enjoys hiking, traveling, puzzles, and spending time with friends and family. Ledesma Sports Medicine is proud to have Clinton Crawley, PT, DPT as a member of our health care team!